Do you hear it? The whispers of your friends in the desks beside yours? “Summerrr” they start slowly chanting in class while Ms. Darbis goes on and on about her old theater glory days. Typical Darbs. Your eyes are glued to the clock on the wall and then 3, 2, 1… the last bell of the year rings and we jump up to cheer and dance because what time is it?! “SUMMERTIME” we sing!! No? Just me? 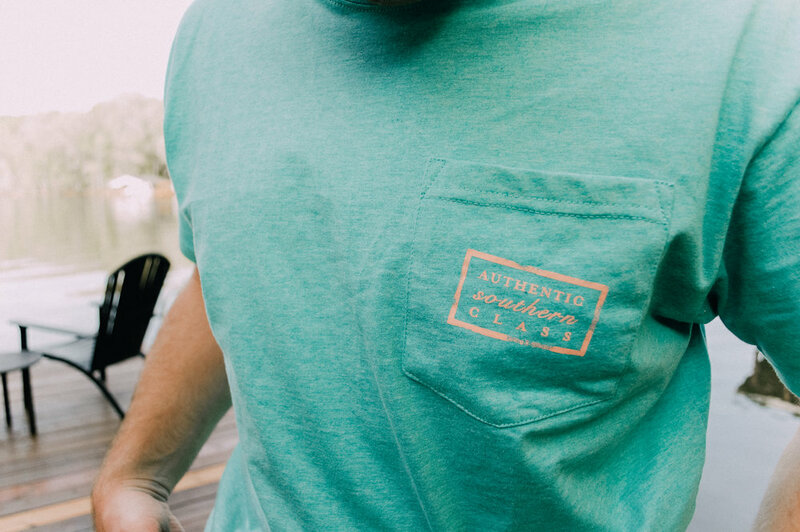 We saved these tees just for this moment though, because there’s nothing like welcoming a new season like welcoming a new wardrobe to match it. 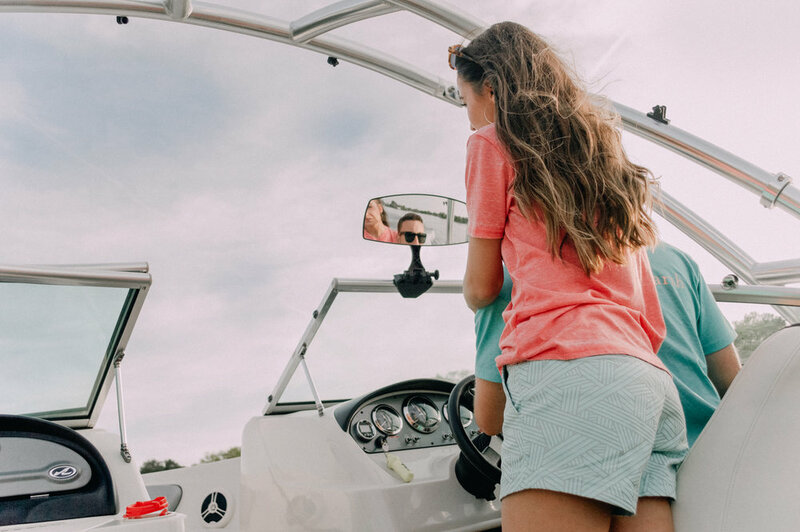 And the perfect southern summer uniform really only needs 3 things: a swimsuit, a comfy t-shirt, and shorts to throw on top. (Shoes usually optional). 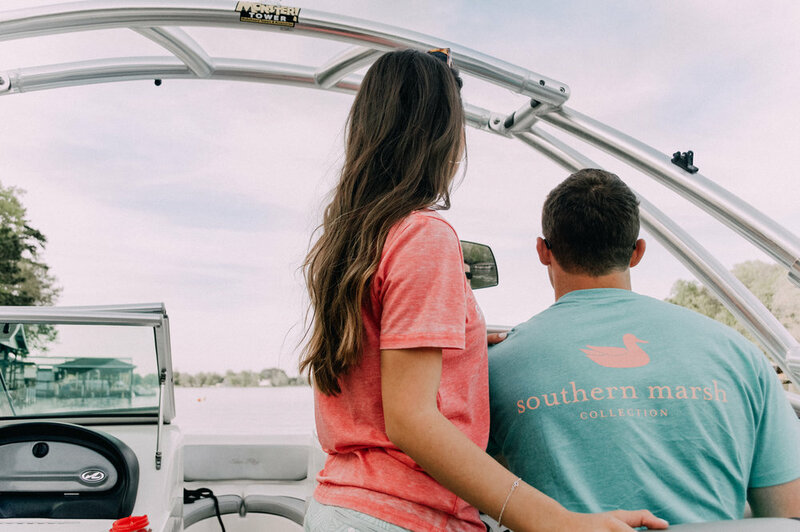 Southern Marsh of course, coming through for us because summer uniforms are what they do best (!!!). I feel tan and summery and cozy in their tees, and to feel good about a pair of shorts being flattering and cute with just a t-shirt feels like a win, you know? I went with the Strawberry Fizz color because I’m biased to any resemblance of coral, of course. And paired it with Ocean Green shorts that you can cuff if you want a more casual look. 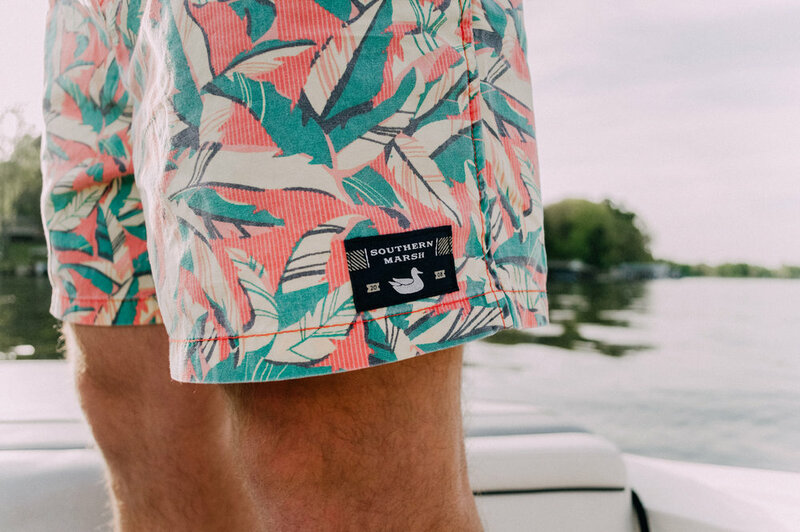 Christian wanted a pair of swim trunks that were different from all the solid styles he already had, and when we saw the Bayside print giving off those cool New Orleans vibes you know we’re alwaysss about, it was the perfect match to his Vibrant Tee. I sat on his lap for the ride back to the dock and realized my strawberry tee to his teal is my new favorite popsicle colored combo. Very sweet and very summery. Just the way I like it. 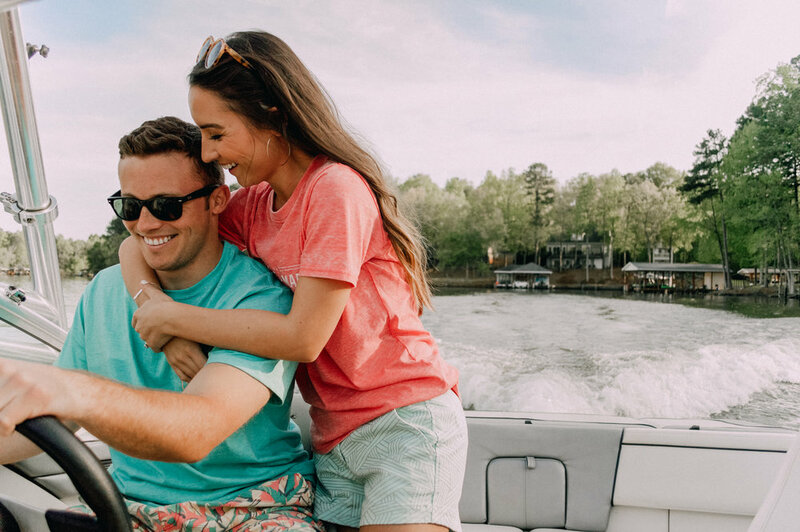 Check out more from the new Southern Marsh Spring/Summer 2018 line here !